This was supposed to be the Hooters Anaheim Meet, but was moved to M&M Donuts. There used to be meets at M&M Donuts before, but were cancelled due to immature people with inferiority complexes that had a uncontrollable urge to showboat by burning out, revving, and other dumb ricer nonsense. I decided to stop by after the Cha for Tea meet and ricer nonsense is exactly I saw at this meet. The cars were either pretty nice or completely disappointing, but I probably won’t be returning to it mostly because I don’t like to associated myself with people like that. While I was there I did take a couple of snaps at the event. I don’t really like Camrys, but this one was surprisingly nice. The wheel and tire fitment is pretty good without being obnoxiously flashy. 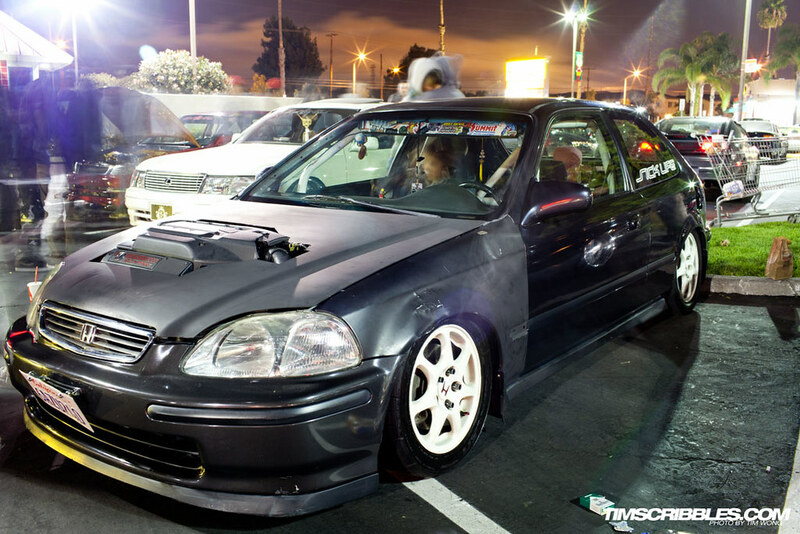 A JDM converted Civic showing off a Forged Racing radiator. 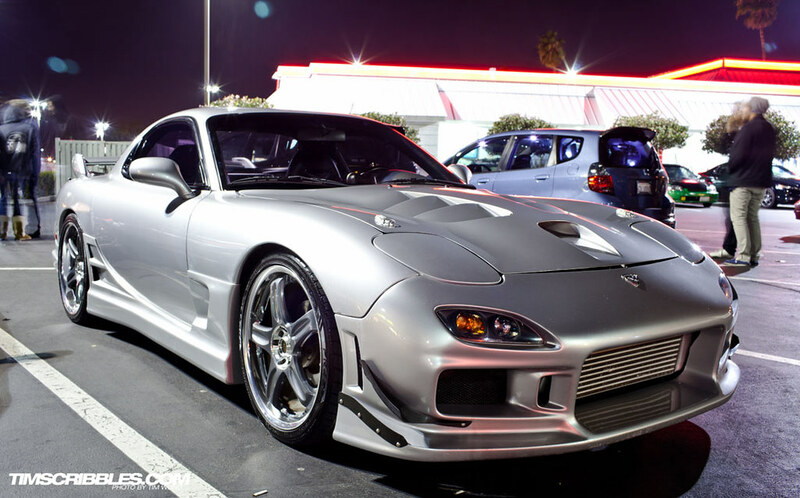 A pretty aggressive look around, but feels like its trying to look like a “drift” car too much with the missing front bumper and the cambered out wheels. 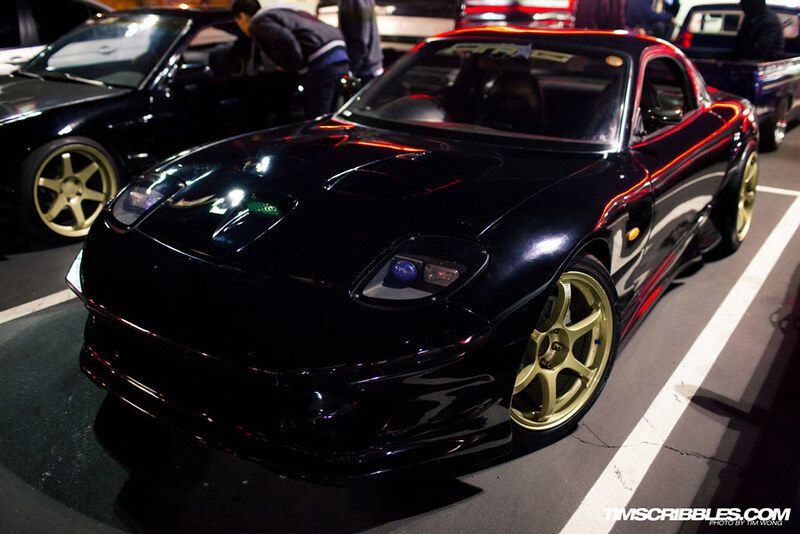 Nissan S13 that was also at HIN. A simple yet clean and effective look. A VIP’d Lexus GS with a less cliche wheel choice which I find is refreshing. Not exactly the mostly unique Civic with BBS wheels, but still a clean and effective look. 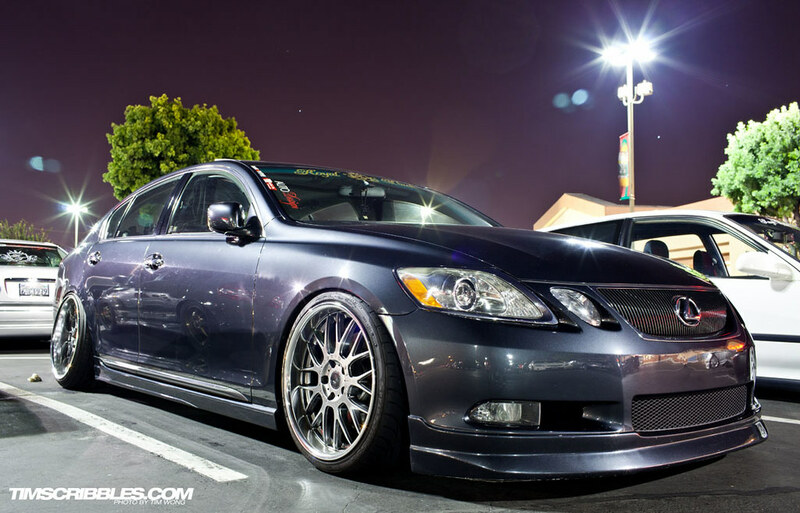 Digging the IS300 rocking a set of Enkei RPF1s. 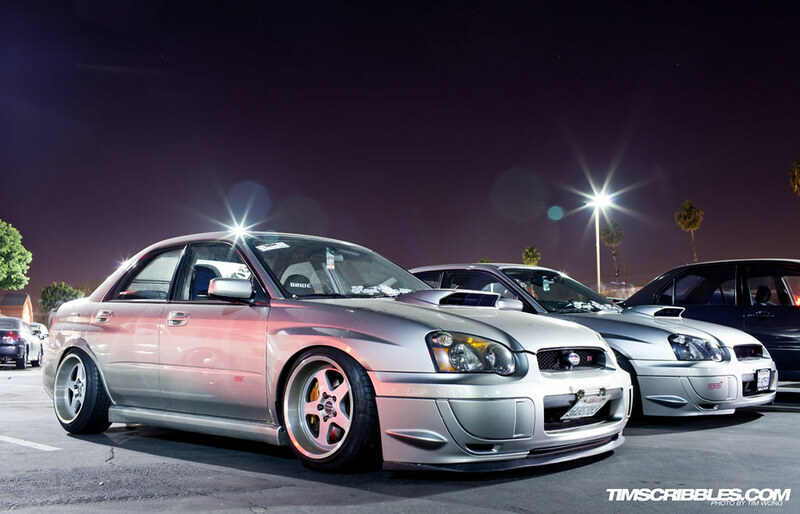 A pair of blob eye Subaru Impreza WRX STIs. A pair of Honda Fits. Definitely not the prettiest car, but the V6 swap is still notable. 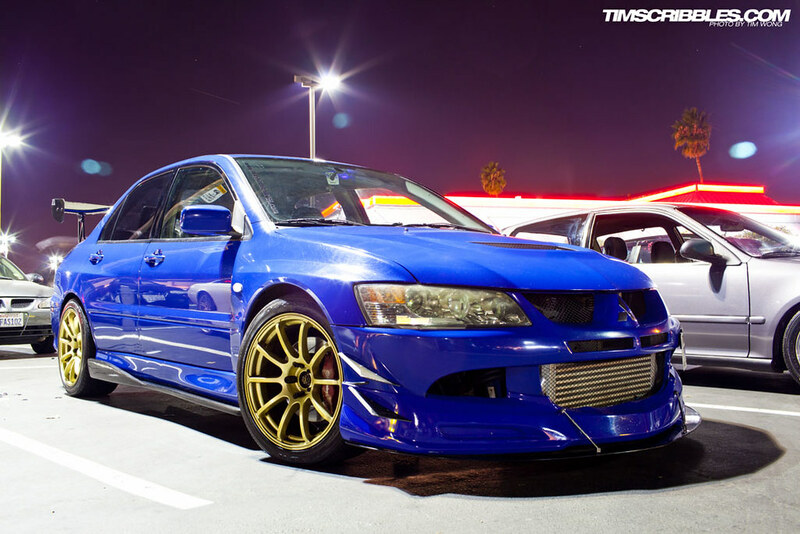 At the risk of sounding newb, I don’t get the cambered wheel look on some show cars these days. Is there any purpose other than just creating a different look? Even in the car scene there are many different sub-subcultures that have different mentalities toward automotive modification. Some people work toward racing or show cars. 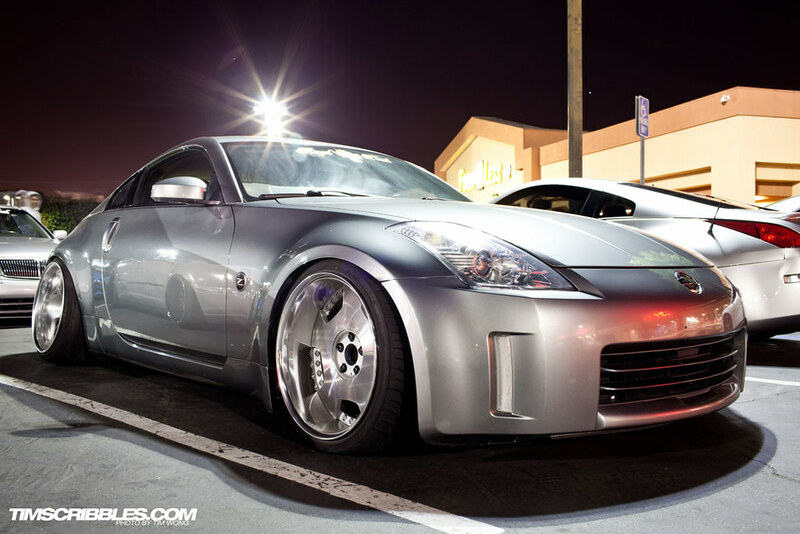 Many of these sub-subcultures utilize negative camber for different reasons. In racing or just performance in general, negative camber improve grip for cornering because the angle of the tire is better fitted to the road due to transfer of force through the vertical plane as opposed to across it which also factors in the tire roll. Many sub-cultures had taken inspiration straight from racing like the Garuchan movement that consists of enthusiasts that would hold gatherings in the parking lot and copy the wide racing rims and tires, custom wide-body aero, full race suspension and drivetrain to replica Group 5 cars at Fuji Speedway. Garuchan is just a sub-culture of Shakotan style which is just extremely lowered streetcars with wide low-offset wheels and stretched tires. 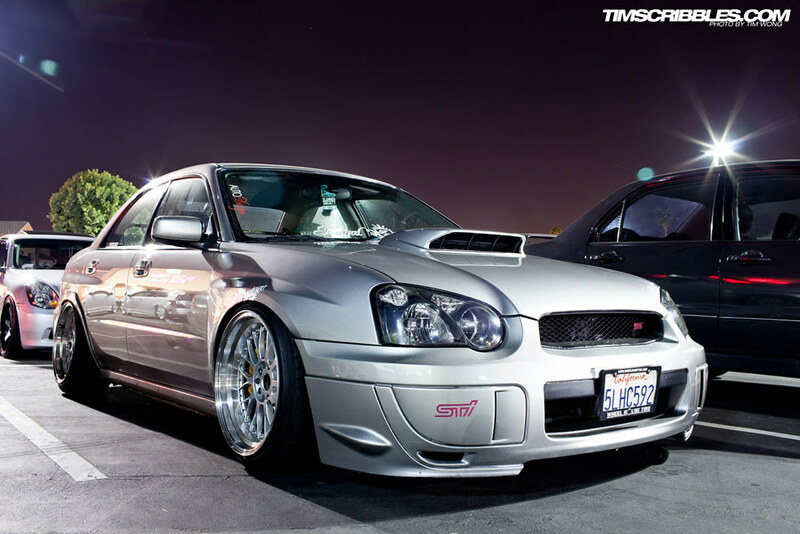 Another subset of the automotive culture is Bippu or VIP style which also has negative camber mostly due to the lowering of cars with low offset high end rims. 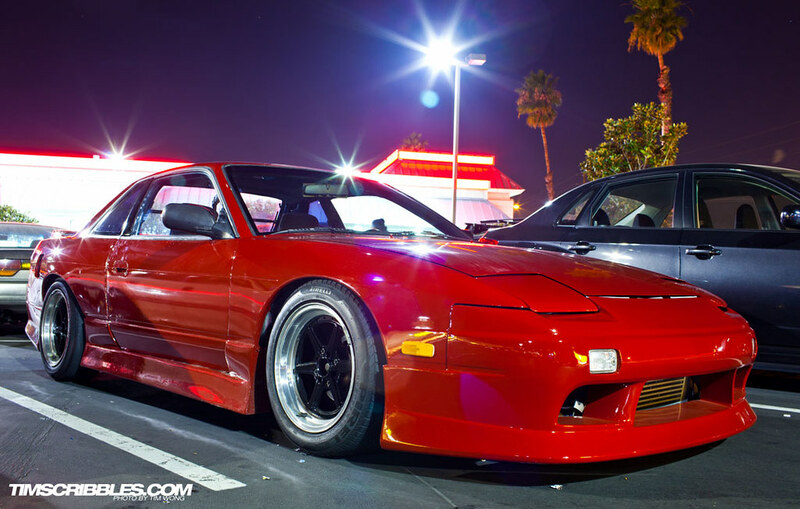 These different scenes have spawned many more sub-cultures of today like the Hellaflush movement which is focused of extremely lowered cars and pushing the boundaries of wheel and tire fitment.